Israeli neo-psychedelic trio Memory In Plant have just released their second single Eyes Up. Once again they helped themselves to lots of sound effects from freesound.org, but the overall feel of the track is more Middle-East than their debut Again Souls, with plenty of echo and stretched vocals. 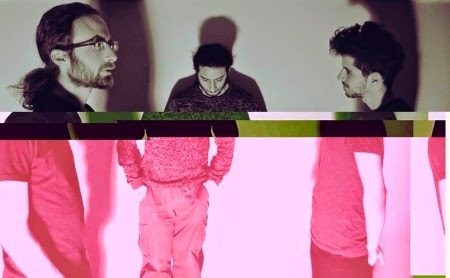 Avant-garde dressed up in contemporary noise pop. Eyes Up is self-released single. Buy it (pay-what-you-want) from their website. The band's debut full-length An Epic Triumph will be released on July 31.